Grab McDonald's NEW Spicy Buffalo-Style Chicken McDo for only P95 with drink! This new chicken favorite is also available in 1-pc. meal with Fries and 2-pc. meal. Delight your taste buds with the NEW Spicy Buffalo-Style Chicken McDo when you dine in at any McDonald’s restaurant nationwide. You can also have it via Drive-Thru or McDelivery by dialing 86-2-36, visiting www.mcdelivery.com.ph, or using the McDo PH app. 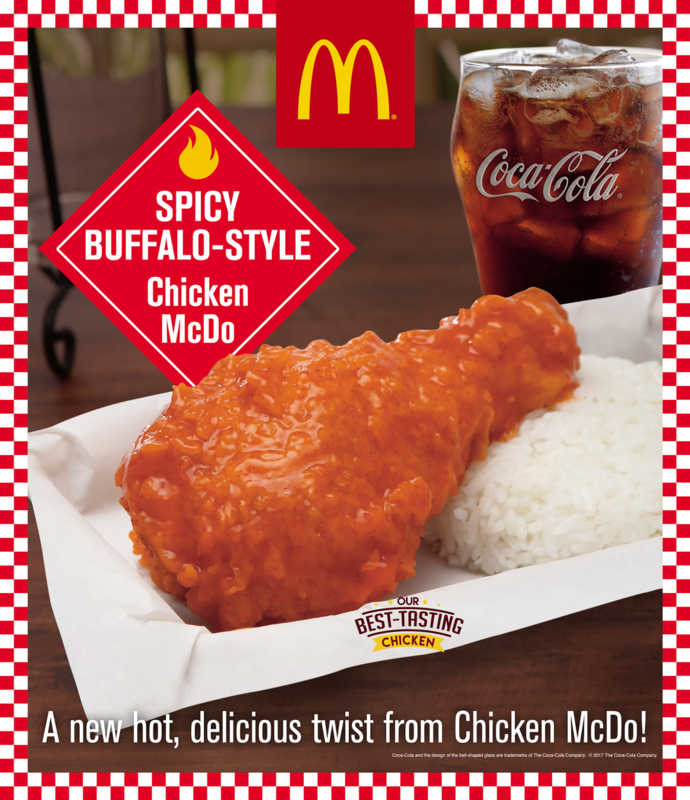 Foodies and diehard fried chicken lovers, take your chicken craving to the next level and grab a bite of the NEW Spicy Buffalo-Style Chicken McDo. Share your photos online at facebook.com/McDo.ph and tag @McDo_PH on Twitter or Instagram.